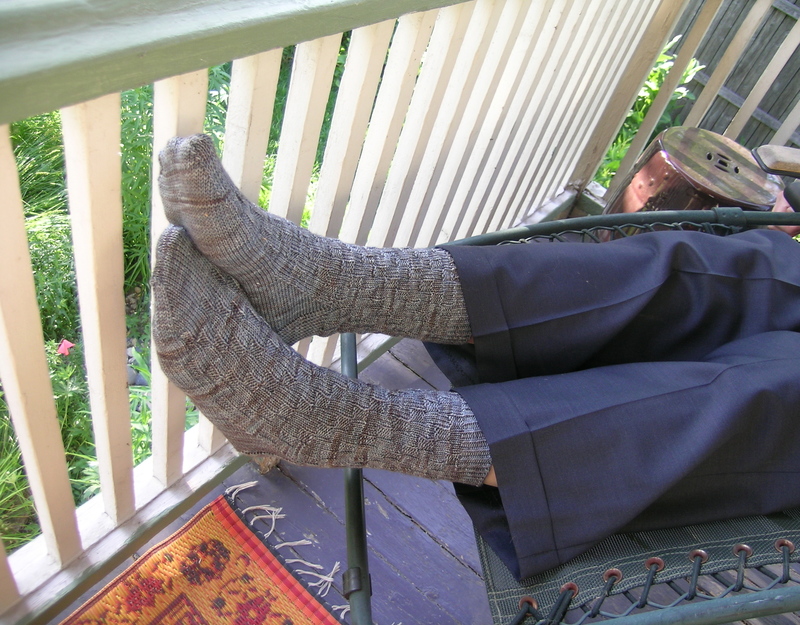 The Nanaimo Socks are finished and gifted to Dan even though he will not be wearing wool socks in this heat. 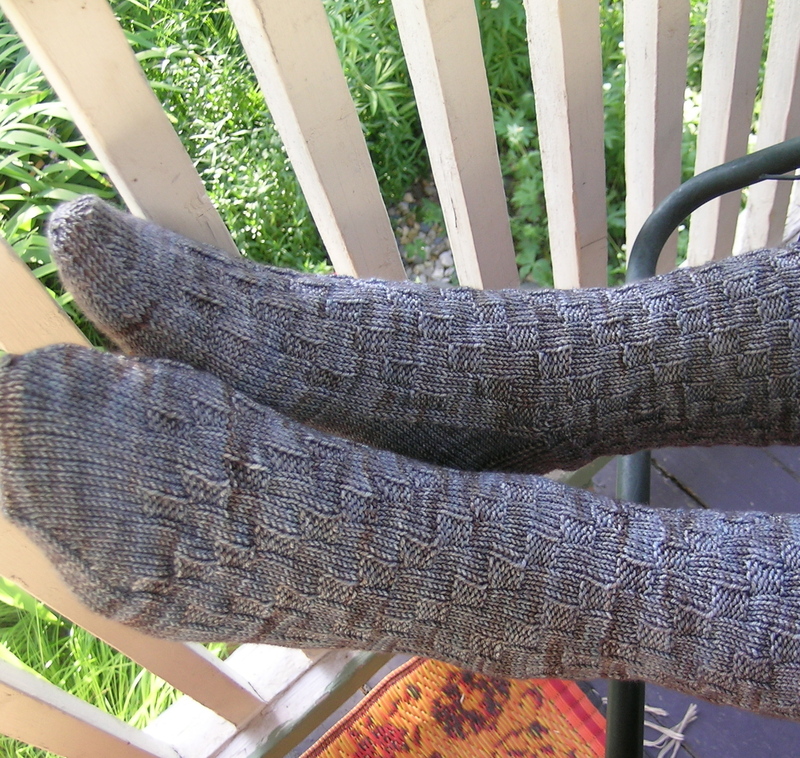 These were the April installment for the CookieA sock club. The color was perfect for Dan, so I chose the simpler pattern this time, as I knew he would not like tons of cables and traveling stitches and yarn overs. 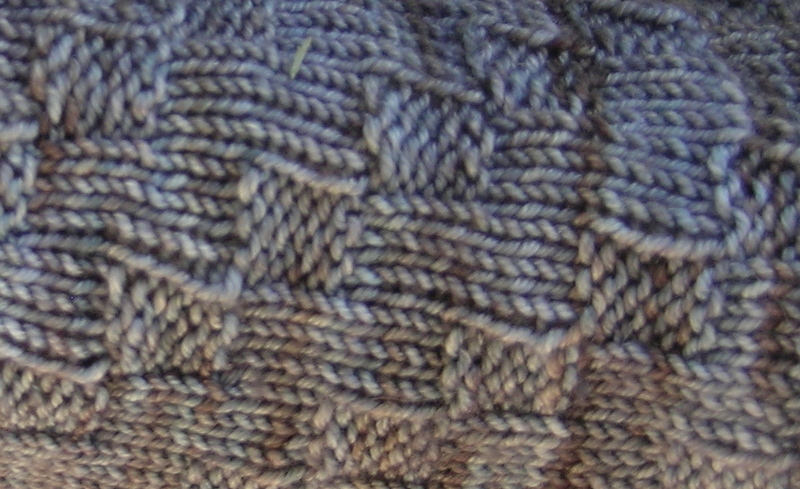 It was a very quick knit, and I love this yarn, it is a 100% superwash Merino, and with a nice tight spin. Not too thick either, so makes perfect socks for him to wear to work. The pattern is extremely generous, I made the Medium size for Dan, and would make the small size for myself. 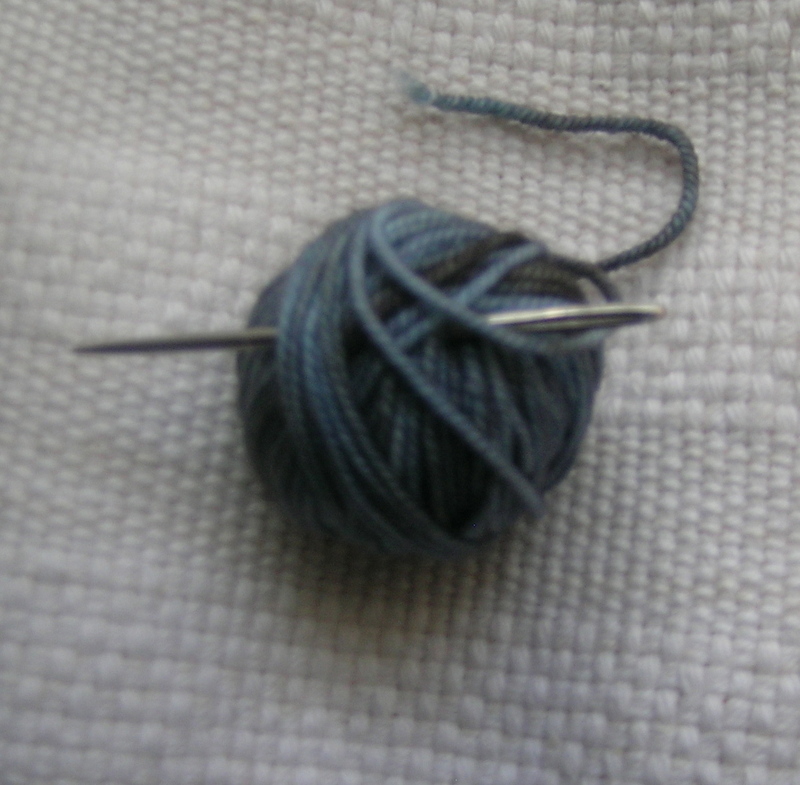 Also, making the medium with a longer foot meant that I had very little yarn left over. I did not weave in the ends of the first sock’s toe until the second was finished just in case I needed to knit the toes with a different yarn. I agree it is the perfect color for Dan and he is quite the model too!